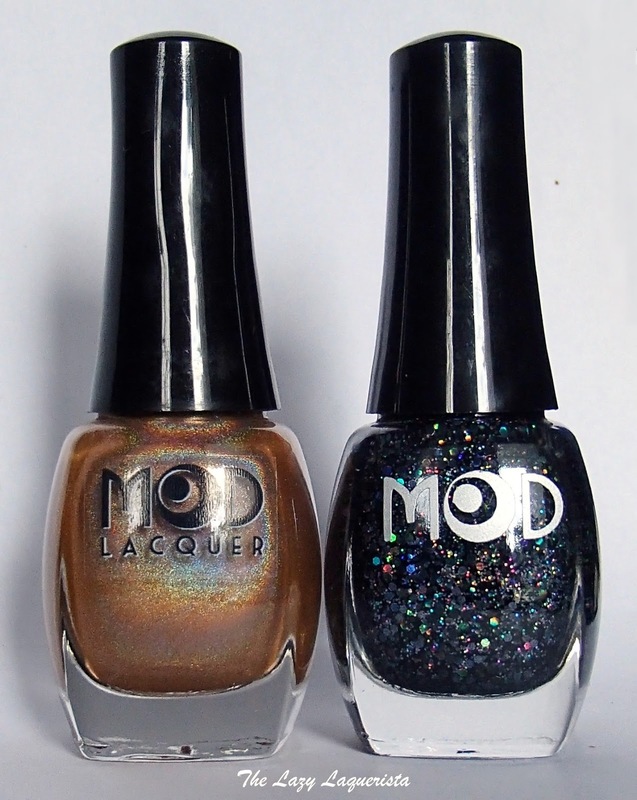 Today I have two polishes from Mod Lacquer to show you. This is a brand that's I've been aware of for a while but hadn't had the chance to try before so when these showed up in the mail for review I was very excited. First up is Interstellar Artifact. 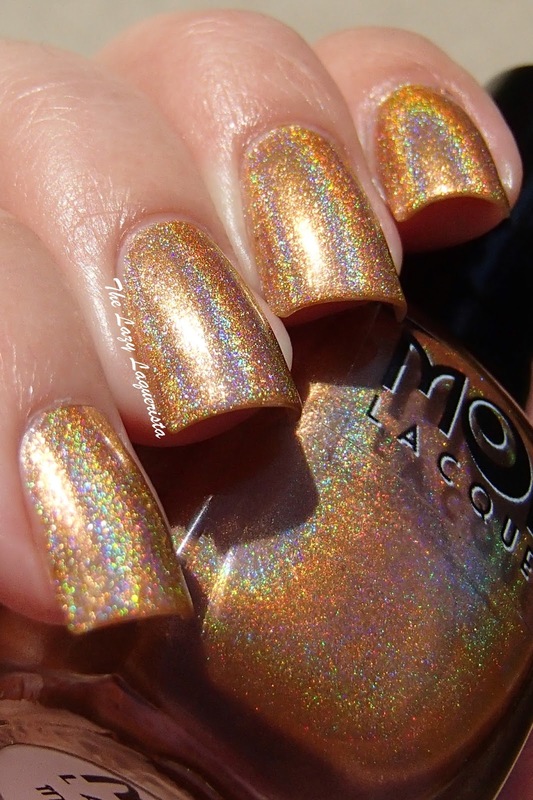 This polish is a shimmery light copper with a strong linear holo. 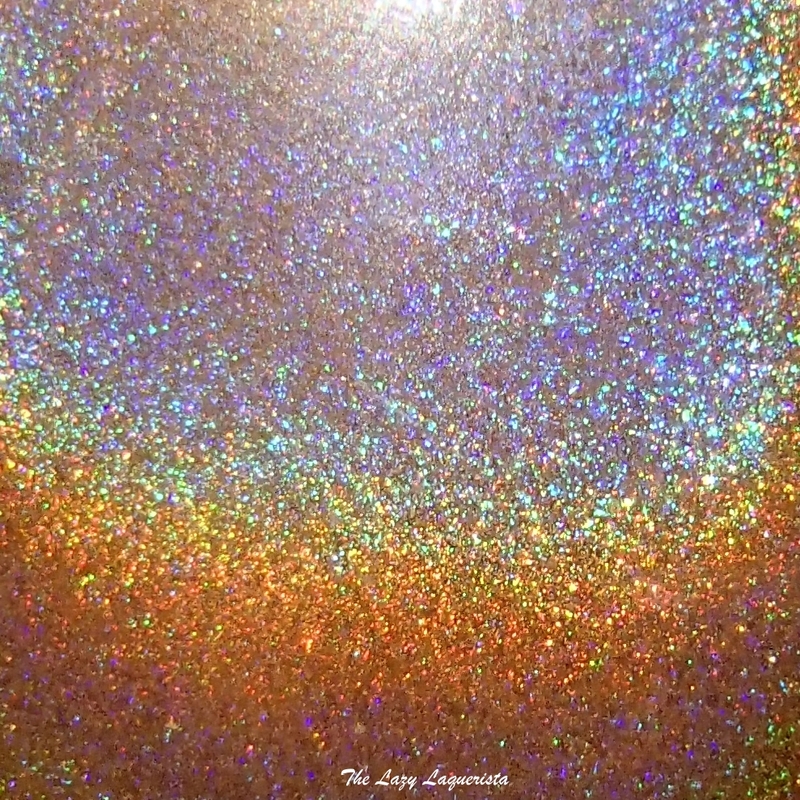 I did find that in some indoor lighting it did lean a little more gold. The formula on this one was absolutely fantastic. 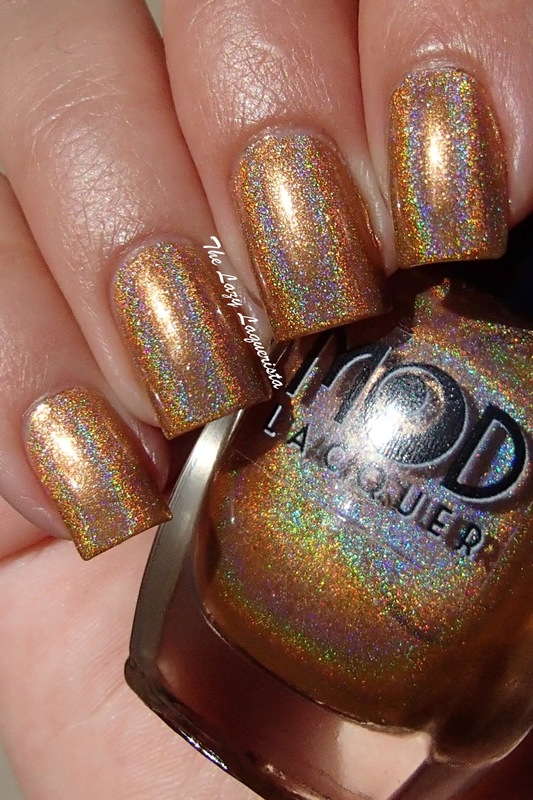 No issues with application and it went opaque in only two coats. 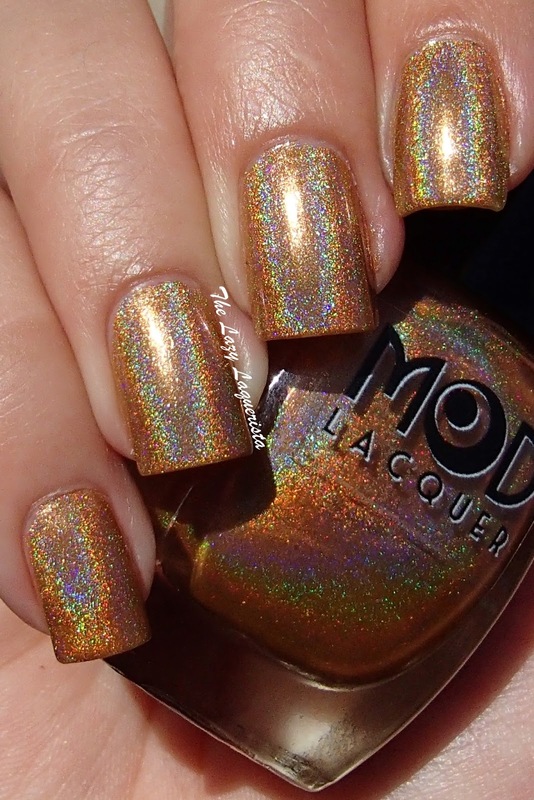 Photos show two coats of Interstellar Artifact with one coat of CND Super Shiney top coat in natural lighting. Next up is Thunderbird. 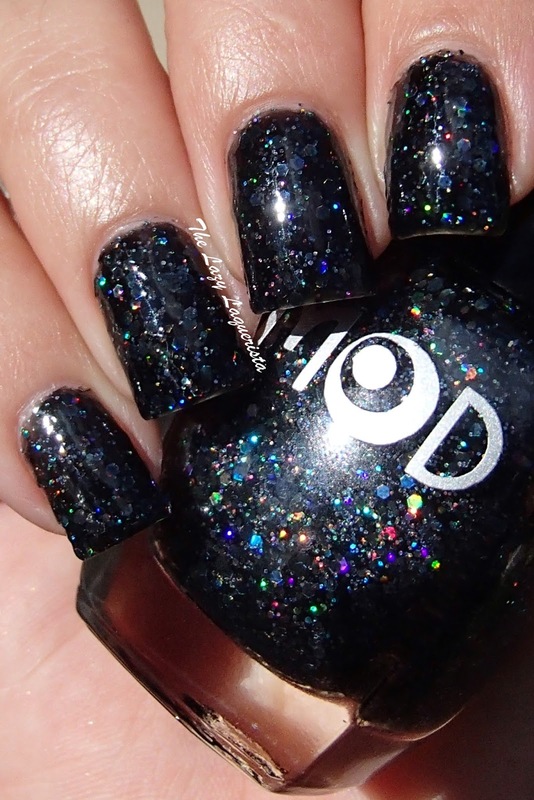 This polish features a black jelly base packed (and I mean packed!) 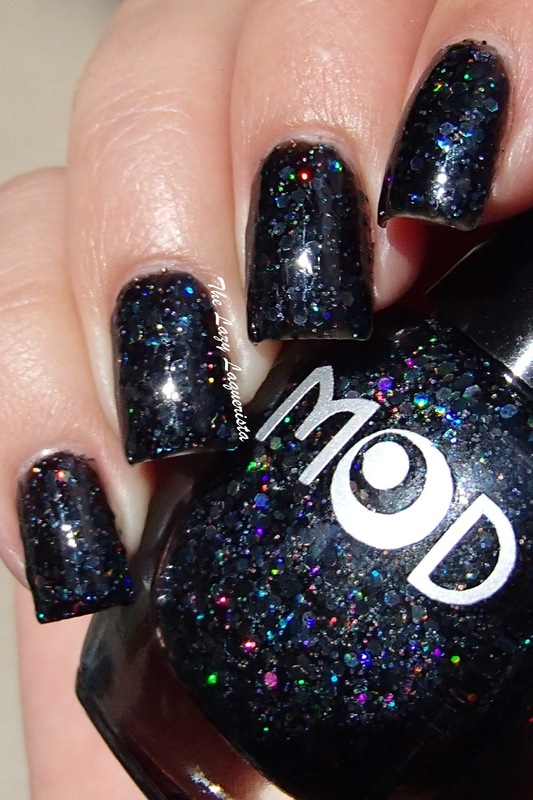 with two sizes of holographic silver hex glitter. Because of the amount of glitter in this polish I did find the formula somewhat difficult to work with. 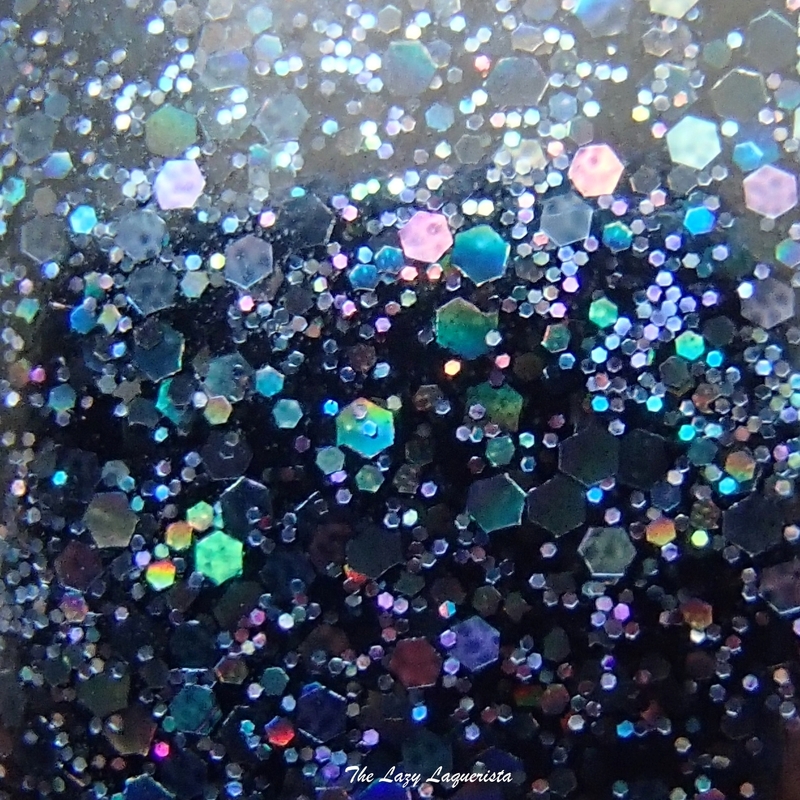 I would brush on a coat and then dab/nudge the glitters so they were distributed evenly. The polish did become opaque after only two coats though which was a nice surprise. 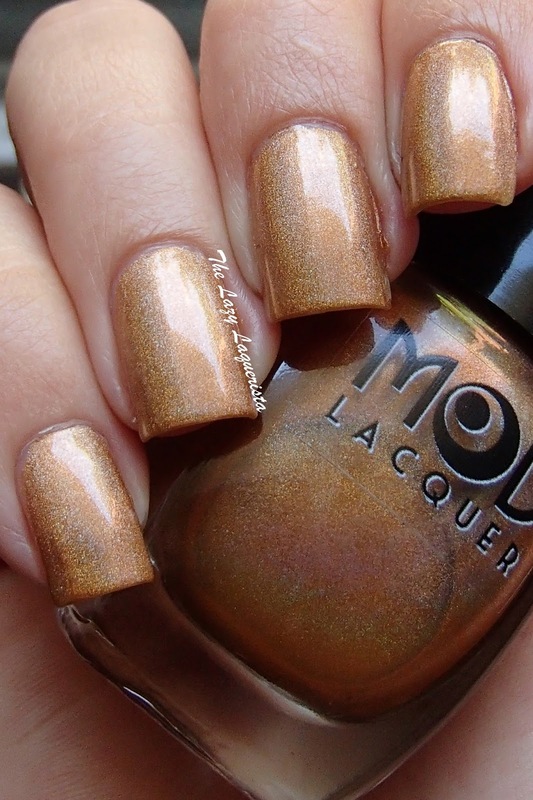 This polish also required a lot of top coat love. Due to the amount of glitter it dried quite bumpy. I used a generous coat of Gelous followed by a coat of HK girl to smooth things out. 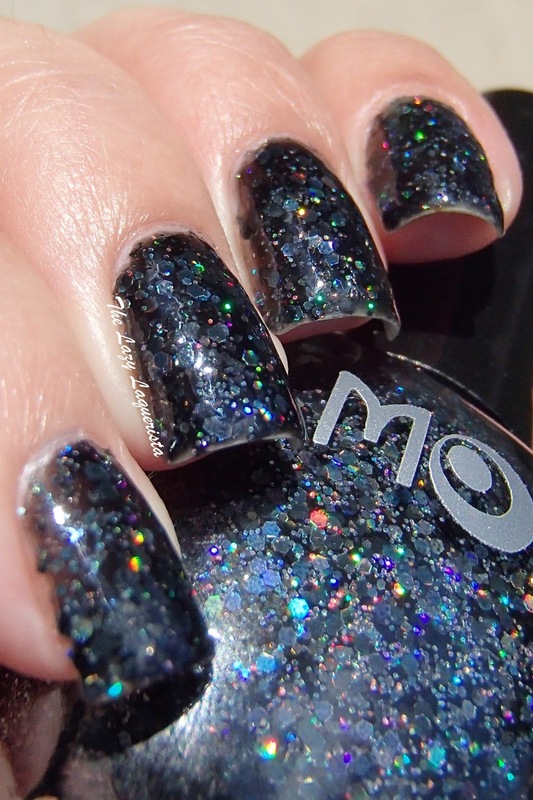 That being said, if you're willing to do a little extra work you basically end up with outer space on you nails. 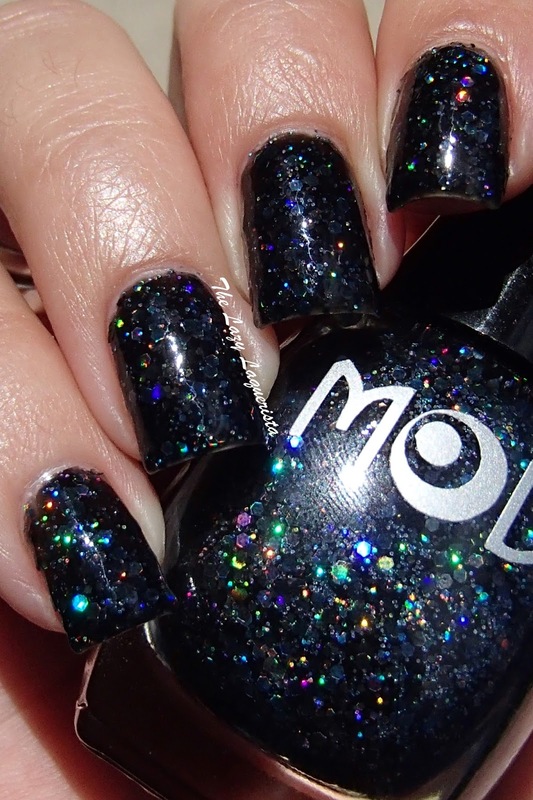 This polish was crazy sparkly (my photos do not do the sparkles justice). 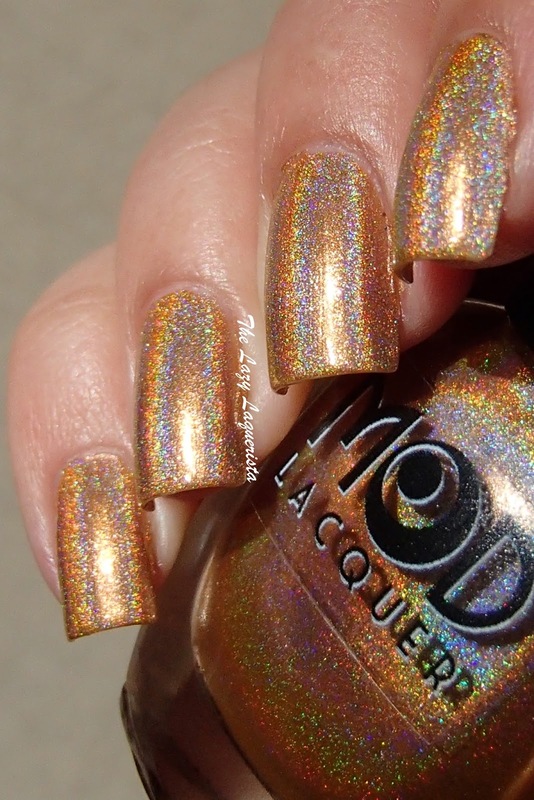 Photos show two coats of Thunderbird with one coat of Gelous and one coat of HK Girl top coat in natural lighting.